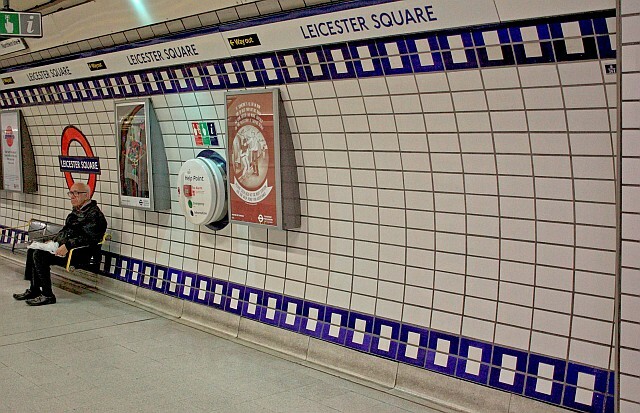 Leicester Square station once had five exits although only four can be seen today. The fifth is still there but now has a different purpose and clearly the stairs inside the building down to the station have been removed. Little Newport Street entrance. Known as Exit No3. This picture shows the passageway from the old entrance. 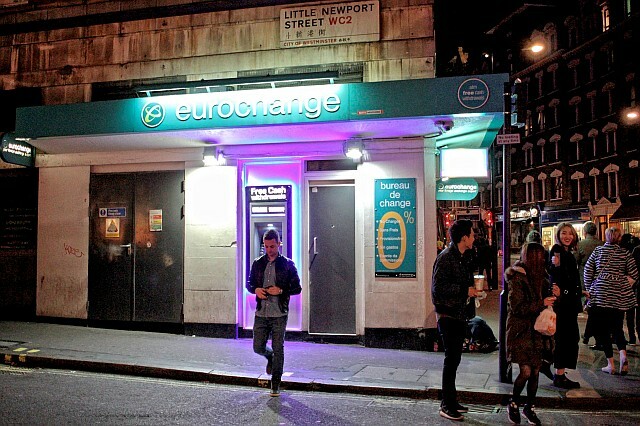 The exit was denoted as Charing Cross Road (North) as signed from the station enviorns. 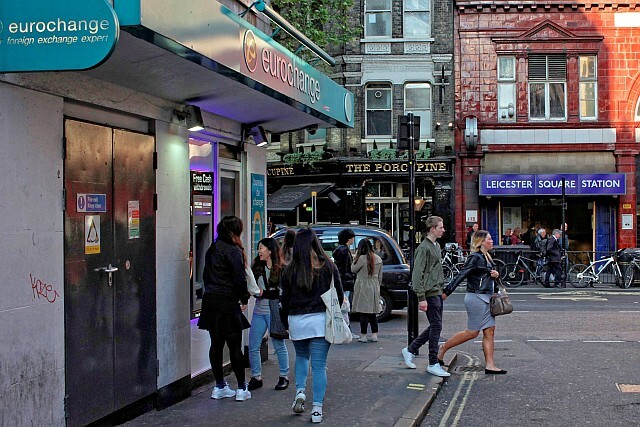 Clearly the fifth entrance up to Charing Cross Road (North) was so close to the other one in Charing Cross Road it clearly amounted to a duplication, as the picture below shows. This area at the top of the Northern Line escalators is where the former passageway to the Newport Street entrance once was. The doorway on the left gives access to the old passageway, now used as a utility/office area. The recessed area by the top of the Northern Line escalators was once a left luggage facility. It seems this began life as an overflow from the Little Newport Street entrance. The area later was partitioned to become a bank of telphones with the left luggage area later added. The most notable bits of the station is perhaps the references to cinema/film on both lines’ platforms (black for Northern & Blue for Piccadilly) however in my view just as impressive are these surviving tiles that denote London Transport. These can be seen on the twin stairwells within the original station environs. These tiles are not from the original 1900’s station however. They are from the 1930’s rebuild. Although the two entrances on the Cranbourn Street block are original, these originally led directly to ticket offices where lifts were avaibale to take passengers down to the platforms. 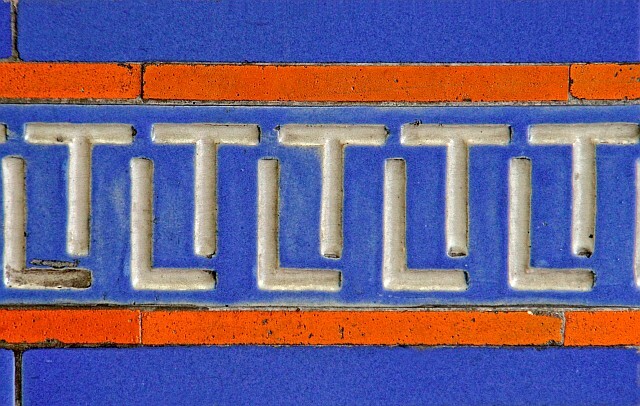 In the 1930’s rebuild a new ticket office was provided below street level and stairs built down from the original entrances to this and that is where the new tiling with ‘LT’ for London Transport made their debut. 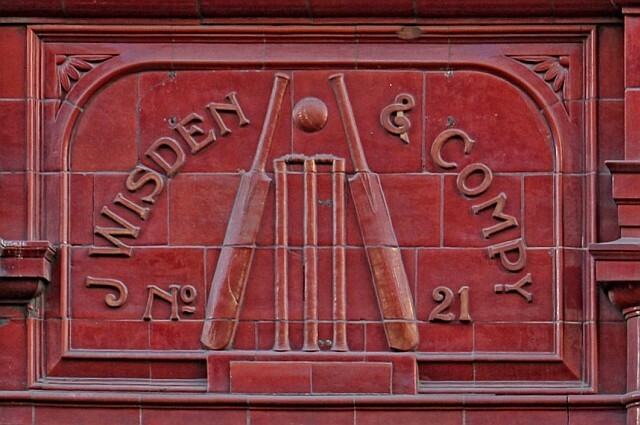 In terms of original tiling/decoration from the 1900’s, there is a sign denoting Wisden’s. The famous cricket almanack was once produced here. 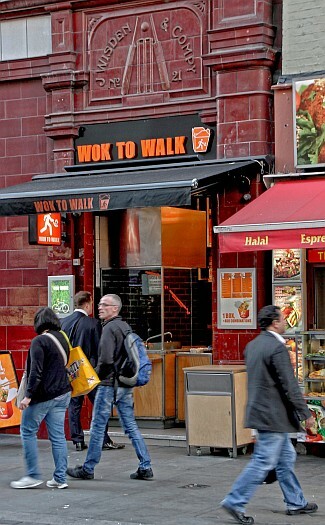 Cricketeer John Wisden opened a shop on the site in 1872. In April 1884 Wisden died in his flat above the shop however the business continued and so Wisden’s was given quite an elevated status when the business was relocated in the new tube station. No other business has the special Leslie Green tiling created in honour of Wisden. 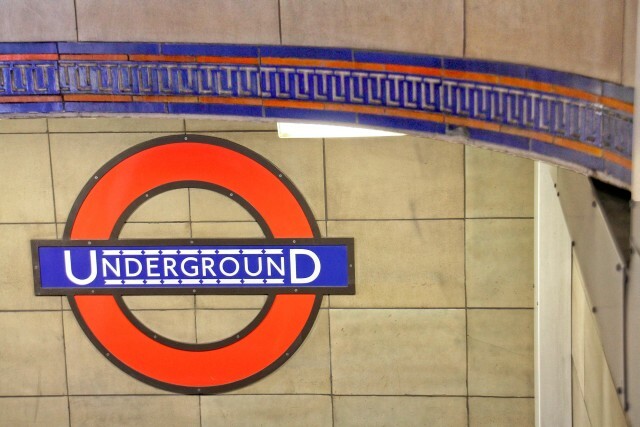 STRINGFELLOWS – ONCE PART OF THE TUBE! Stringfellows night club, a short distance to the east of the tube station, is part of the tube network – not actually in that sense (!) 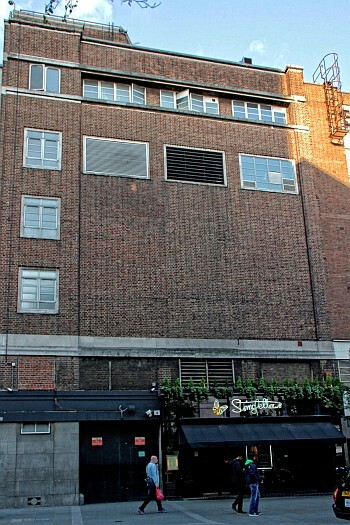 it’s the venue itself which occupies a substation built during the 1930s for London Transport.The building’s strange appearance belies this little known fact and a look at the upper floor section reveals it was built for the Underground in the 1930’s. The substation eventually became redundant and so it was given over to other uses, it was a car repair shop before becoming Stringfellows in 1980. The building’s construction can be seen in an almost completed state, whilst this one shows the steel framework for ‘Stringfellows’ in the 1930’s! 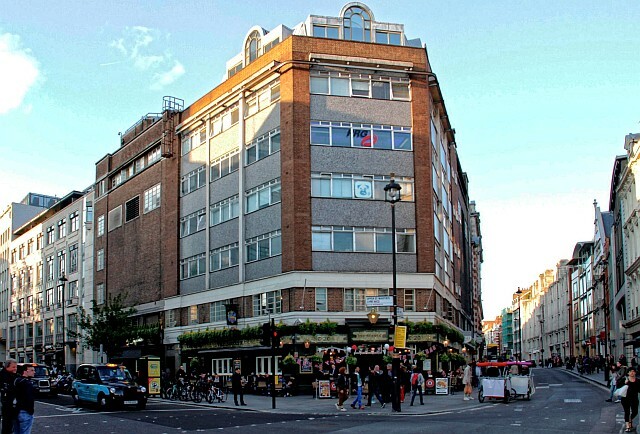 The whole frontage at the corner of Upper St Martins Lane and Long Acre (including The Sussex pub and Stringfellows) was constructed by the London Passenger Transport Board in the 1930’s. This picture shows the enitre Stringfellows (aka the substation) section in 1936 before the extra floors were built above the Sussex pub. The original Sussex pub before demolition can be seen here. 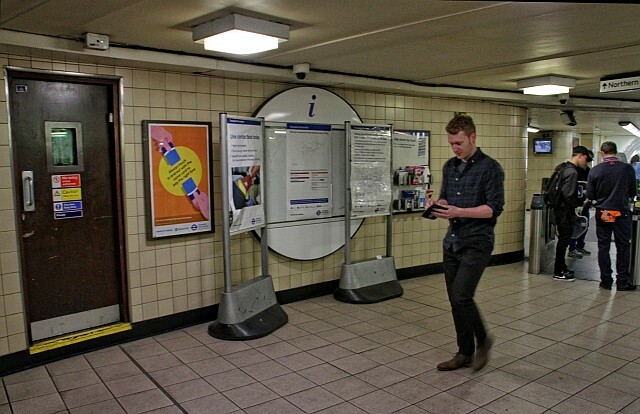 More about Leicester Square station – part three of the triology.